Irrespective of your reasons, there are two ways you can hack into the system of a phone. You can either use a particular software that are available for free online or just do it manually via a text message. If you opt for a software, you need to make sure that you install the best out of them. Listed below are two ways how you can hack someone’s phone and view the content in it without installing any software. All you need is a laptop and a steady Wi-Fi connection and two phones- one used as GSM modem for the laptop and the second a personal phone to transfer any data. However, you can simply hack on to someone’s phone and avoid all hassles by simply purchasing a software that would do all that work for you. There are a number of softwares available like TheTruthSpy which you can purchase and spy and hack on someone else’s phone. These softwares are compatible with all sorts of phones from android to Blackberry. In the spy technique to catch cheats on you, you need to install a particular application on victim’s cell phone. It is basically, a set of program or a mobile application that provide necessary information from victim’s cell phone to the monitor’s device. Without spying victim’s cell phone, it is about impossible to get their mobile information. Instead of it, you need to hire a hacker that hacks victim’s cell phone, but it is costly and inappropriate for monitoring purpose. Hence, you should use the spy application if you are willing to monitor someone’s mobile activities, the social networking activities and much more. The android user must visit their app store or play store and search the appropriate application name. You will find a list of spy app in which you have to select the trusted one and high rated app. You need to download and install the app on victim’s cell phone. First, you need to access the Cydia or the app store available then search the TheTruthSpy related keyword on the search bar. You will find the spy app which you need to download on victim’s cell phone. Now you can install the app and launch it for use. After installing the application, it is ready for use, and you are near to complete the monitoring task. What should have to do after installing the Hack a Cell Phone App? Once you have downloaded the spy app on victim’s cell phone, then you need to perform some necessary task with it. Only downloading and installing the app is not the complete monitoring. After installing the app, you need to launch it, create an account, and then hide the app. The account creation takes you to get the username and password. The hide option you must use to make the application invisible for a victim. Also, you need to turn on the silent location on a cell phone and provide administrative control over the spy software. Now, you are able to monitor victim through their mobile phone. 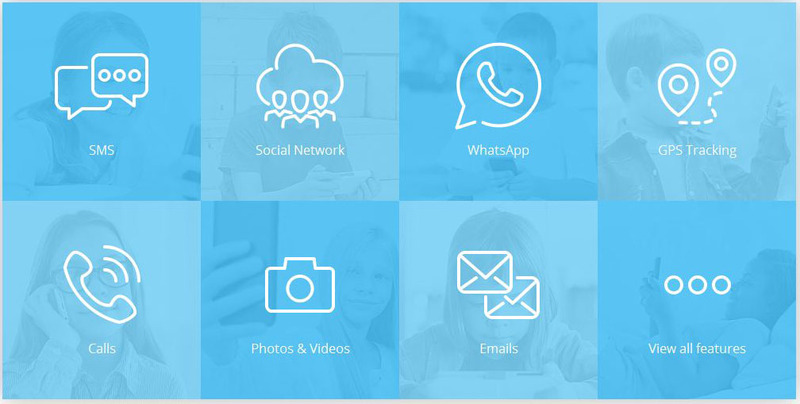 Now, you can access their chat information, social media networking details, GPS location, and much more. Spy software is developed in a manner that it traps all the digital data stored in an internal and external storage. After catching the digital data it backups and send to the private server. If the digital data is large, then it will take more time to send to the private server. Basically, each mobile application has their individual folder on internal or external memory. In each folder, different types of data are stored in different sub-folders. So, the spy app catches all the data backups it and provide to the hacker or monitor. To understand the term, consider an example as the WhatsApp messenger has their separate folder on internal storage and it includes different folders. Each folder has different files such as audio files, video files, gif files, documents, chat information, and others. The spy application traps all the data and sends to the private server. The data is basically arranged in a good manner that is easily readable. Similarly, each mobile application includes their individual folder on internal and external storage. The spy software catches all the details even device information, their location on a map and much more. How to choose right spy software for hack a cell phone? The software development company provides necessary information like the username and password. Now, you have both methods to install the spy app on victim’s cell phone. If the suspect is your spouse, family member, then you can install the spy app own self. If you are willing to monitor your employee or someone else, then it is difficult to get their cell phone. In this case, you can remotely install the spy app on victim’s cell phone. The major difference in both the technique is the cost of their services. The company will demand more money if they help you in installing the spy app on suspect’s phone. 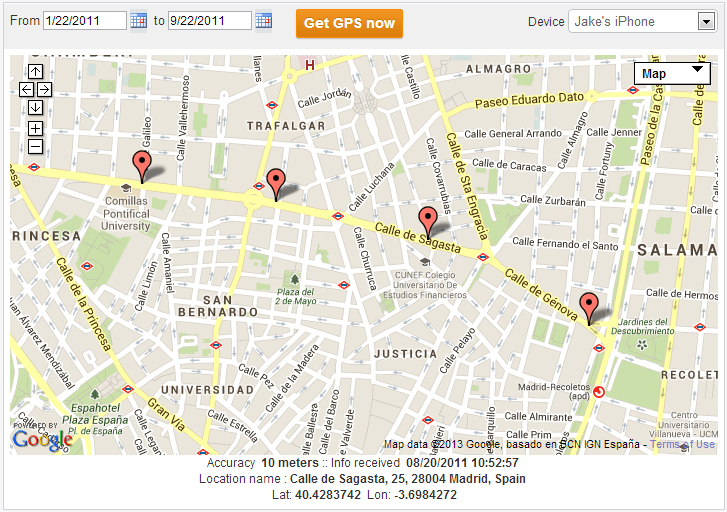 GPS tracking is one of the great features you have with the spy tool. Each Smartphone and iphone is equipped with global positioning system. This system usually catches information in latitude and longitude that reflects device’s geographical information. Once you install the spy tool on suspect’s mobile phone, it catches the latitude and longitude information. If the information changes it updates current information and traps it to send. When the device gets an internet connection, it transfers all the information to the private server. Now you can watch the victim’s real time location on a map and monitor the suspect. Once you install the spy software on victim’s cell phone the spy tool, provide call logs details, and call recordings as well. You can also attend the current call and listening to the conversation happening between suspect and others. This feature is one of the major to catch cheats on you. Text message hacking is one of the best approaches to spy someone’s cell phone. The spy app also provides text message information, real time chats information, inbox, outbox, draft details and else. This feature can help you out in catching cheats on you. Social media becomes the necessary part of human’s life as a number of people use a different social media platform to get connected with others. The social media platform such as snap chat, WhatsApp, Facebook, Viber, Vine, and others are most common among kids, adults and old persons. So, the spy app traps all the social activities like media sharing, real time chatting and much more. You can get each social media activity in your dashboard in real time. Most of the internet users use a browser to surf the internet. They access different websites, social networking sites, and else. So, the spy app includes the feature that it catches browsers history, particular link information, and much more. Not only the available information but you can access their deleted history, most using links, bookmarks, shortcuts and much more. All the phone book contacts you will get on your dashboard when you install the spy app on victim’s cell phone. It will help you to analyze whether a victim has an unrecognized or unwanted number or not. When you are monitoring someone through their cell phone, then you must access media files stored on victim’s cell phone. May be the media files are large, but it may include some important information. Therefore, the spy app will help you in getting these media files on your dashboard. If the media file is large, then the spy app minimizes the size if possible then transmits it to the dashboard. If the victim has the fast internet connection, then it can be transferred in the least of time. What is the need of cell phone hacking? Most of the business organization uses Messenger application to inform their employee, and business partner about any event. Also, business owner uses mobile phone to communicate with others. If you are a similar business owner and want to know competitor’s business plan, advertisement techniques, and business strategy, then you can spy their cell phone. Social media, Smartphone games, and other attractive things distract students. Though, the cell phone includes a number of benefits, but sometimes, it impacts badly on kids. Therefore, parents want to monitor their kid’s and want to know their child’s mobile activity. This can prevent kids to perform any criminal activities or cyber crime as they do not actually know the social activities. At present, a number of people use social media sites and get interacted with unknowns. Therefore, a number of people make unwanted relation with unknown and cheats their real one. If anyone doubts their spouse, then they can use spy software to know their spouse mobile activities and catch him/her. It is also one of the major reasons that are why business owner use spy app to identify their employees is reliable or not. The spy app helps to identify who one is the responsible of leaking confidential information about the business or particular organization. You must also need to understand the rules and regulations, and license information, refund policy, and else. These some factors can help you in choosing the right software company and right spy package as well. With the right spy tool you can catch cheats on you, and you can monitor your kids. The spy tool is basically simple in use, but if you feel any trouble, then it will maintain by the company within a specified period. So, you should have to choose the suitable spy tool.